So now that I am back into the world of blogging, what is the plan? The fact of the matter is that I don’t really have one. 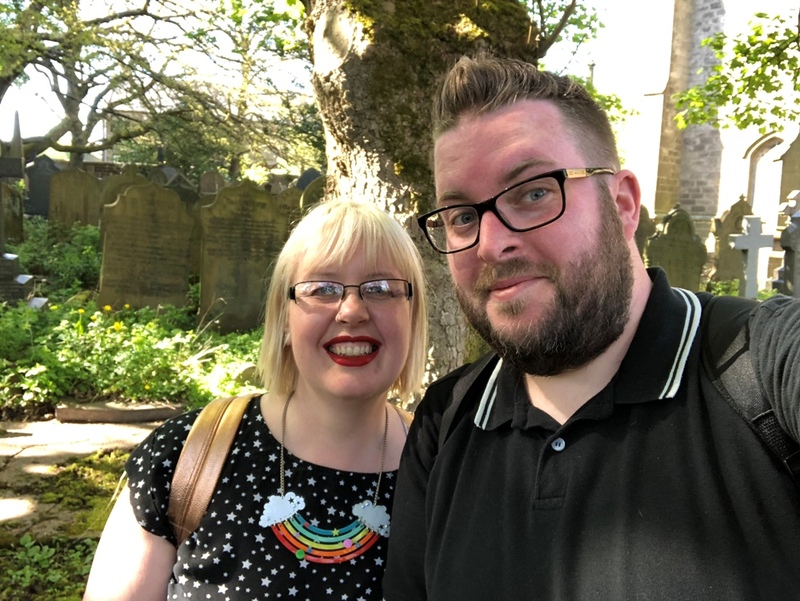 I know I want to keep it bookish, I mean obviously that isn’t even in question really – although someone did once say to me ‘why do a book blog and a book vlog’ and I think having been away from blogging for a while the answer is ‘I miss a bit of depth’. No, I don’t mean that I think all BookTube is shallow, quite the opposite I actually think it is brimming with some of the loveliest, most thoughtful and intelligent people I know. What I mean is that here I can really get into the depth of single books and my thoughts on them, something I find easier on paper than I do in speech. Partly because I really like a good tangent when I talk, also because to me there is a real craft in writing a review. I find them much easier than writing about a day trip out for example, which interestingly I find easier in a vlog. Anyway, this isn’t about blogging vs vlogging as I think they can complement each other or work for different audiences, same with The Readers podcast, not everyone likes every medium or even wants me on every medium. Throw in Twitter and Instagram and that is rather a lot of Savidgeness I have to admit. So there will definitely be lots of reviews. That said I don’t think I will review everything that I read anymore, which I used to do. Why? Well, in the house I have a set of shelves on the landing which is all the books I have read but not yet reviewed for the blog since 2016 and to be frank a good third of them I don’t feel the need to tell you about because I either feel a bit ‘meh’ about them or I have nothing to say. This does mean I have a whole host of books I can talk about from those two years (and I will be doing so with some favourites if I haven’t sporadically whilst on my mini unofficial hiatus) though I won’t think about them too much as it might give me stage fright. Going forward though, I want to talk about both the bad and the fab (IMHO) books and why I loved them or not. Hopefully those books I love you might want to give a try, you might also want to give some of the ones I don’t because if I do reviews as I want to (and have always tried to) you might see something in them that piques your interest. I do not want to be someone whom if I loathe a book you should all damn it too, just as I don’t think you HAVE to get your mitts on every book I love however if you want to how lovely. I hope that makes sense. So that’s books. Onto ‘bookish’ stuff. I think I will still do some prize stuff. I love reading the Women’s Prize longlist every year and have already roped my mother in to read them with me in 2019 which will be fun. I will of course be looking at the Costa Book Awards, I have seen this year’s judges getting parcels on social media and it has made me really nostalgic and miss it. The Wellcome is always on my radar and recently the Walter Scott Prize has really got my attention so I might go back to both their shortlists and have a mooch (might, I am not saying it is a definite). 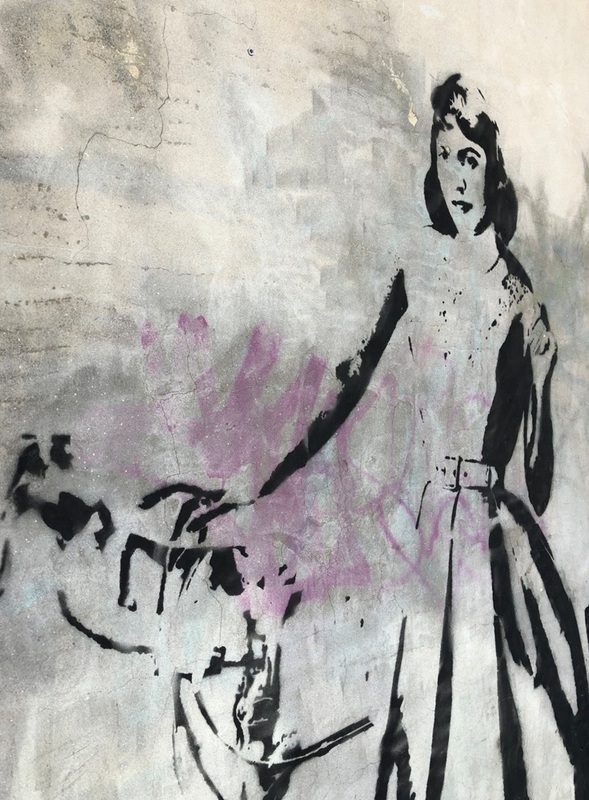 Plus Man Booker season is almost upon us, though my thoughts on Man Booker have become complex in the last year – maybe that is another post in itself. I would also really like to do some ‘thoughts on reading’ kind of posts. They can selfishly be quite therapeutic. 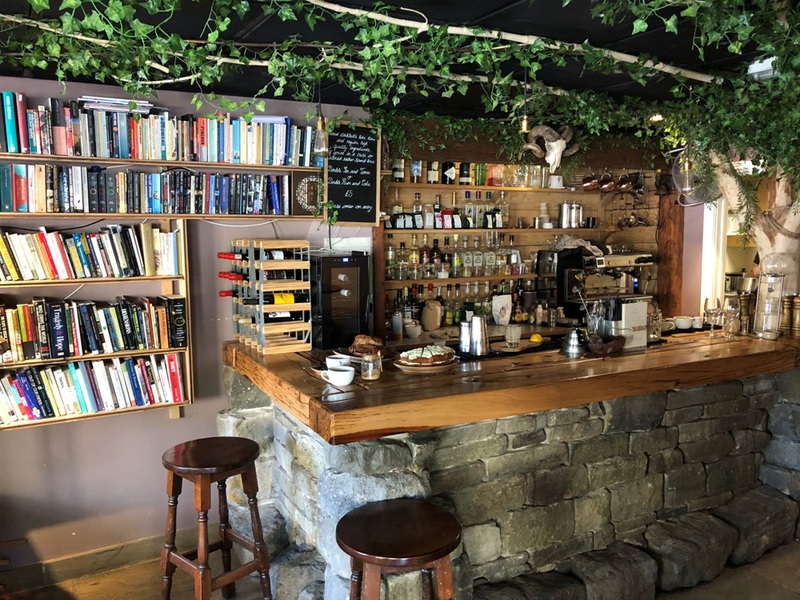 Speaking of selfishly, I would also love to do some posts on reading retreats, bookish places and bookish holidays – mainly because it would make me do more of them. 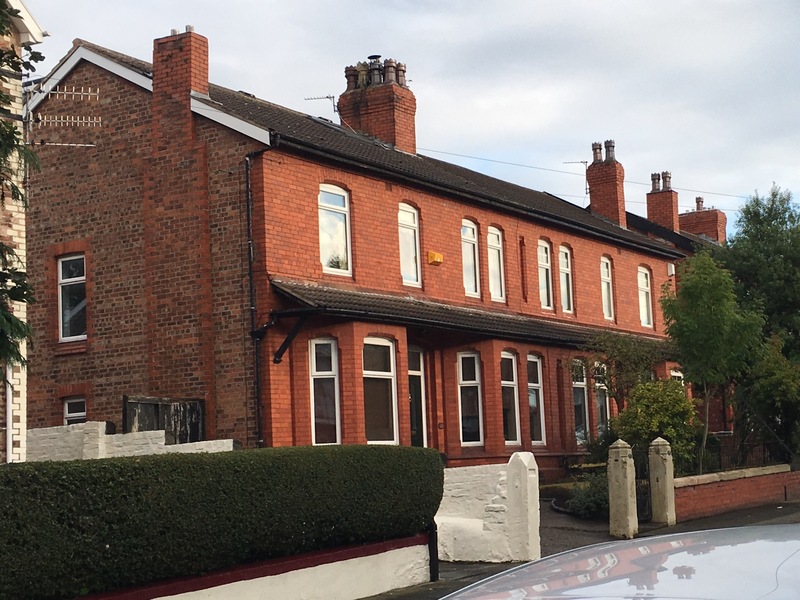 I really enjoyed the Literary Trail with Northern Rail and would be excited to do that. 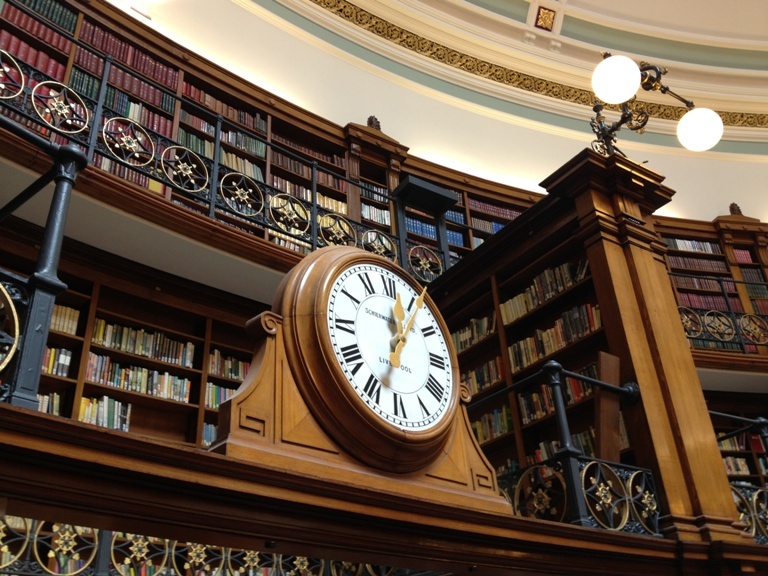 On top of all that now I am working at a library, and such a stunner (see below, sorry not sorry that there may be lots of picture of it on this blog from now on) I would like to write about that in some way, if there is anything you would like to know let me know. We have some great projects coming up, so maybe behind the scenes around those and the library in general could work? Then there is non-bookish stuff and here is where I am torn. On the one hand I loved how I felt there was a connection between readers of this blog and myself (and I suppose my life in many ways). I loved how you took my gran to your hearts so much when she made an appearance. However there have been struggles when times have been hard, like when she died or when my marriage broke up and I got divorced, that whilst it was lovely to have this community there it sometimes also felt like it was hard to escape or just put it all to bed. Yet at the same time in hindsight I wish I had written more about grief or a marriage break up as it might have helped people should they have come across it. So for example I could share the doing up of the house, though I am not sure if I want to, or will even be allowed to, share how there may be little Savidge’s coming into my life. Yet to write about the process could be helpful for other people. Hmmmm. Tricky. This all probably sounds very grand and I don’t want it to. I am just typing out loud 😉 I would be interested in your thoughts. I do know I would like to write about some of the cultural things I get up to. Visits to castles and stately homes, concerts maybe, days out to beautiful parts of the North West etc. The things I am interested in that you might be too – so no politics, I promise, in fact no big world troubles as sometimes we all need escape from that. I might also bring back some series and maybe get some contributions going now and again. And he’s back, though hopefully it will eventually look and feel like I didn’t really go away. 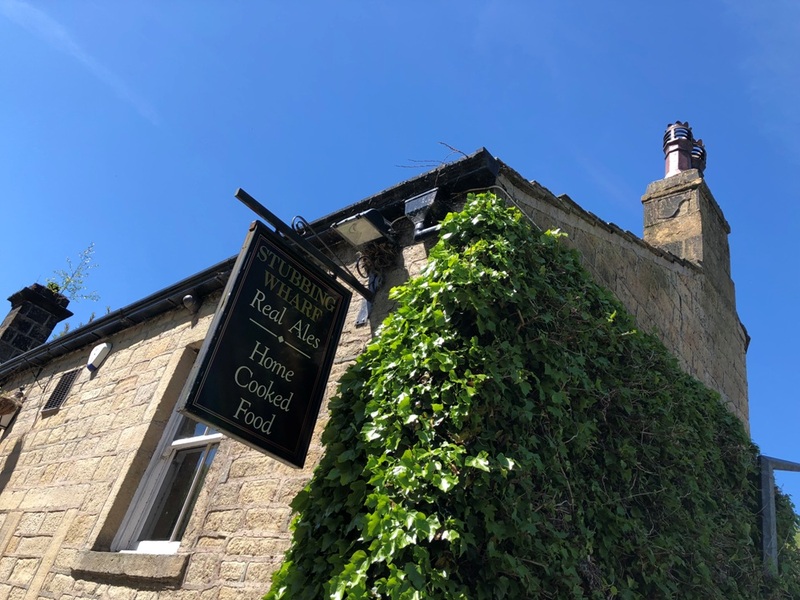 However if you have followed this blog for some time you will know Savidge Reads has been on a sort of unofficial hiatus/wind down since mid 2016 but we aren’t going to focus on too much of that. Instead let’s focus on the fact that you have got a whole half a month of Savidge Reads overnight. I like to think of this as my blog version of when Beyonce drops an album overnight out of nowhere. Even more shocking is that I have scheduled the rest of the months blog posts too so I am always a little bit ahead. Who is this new Simon? 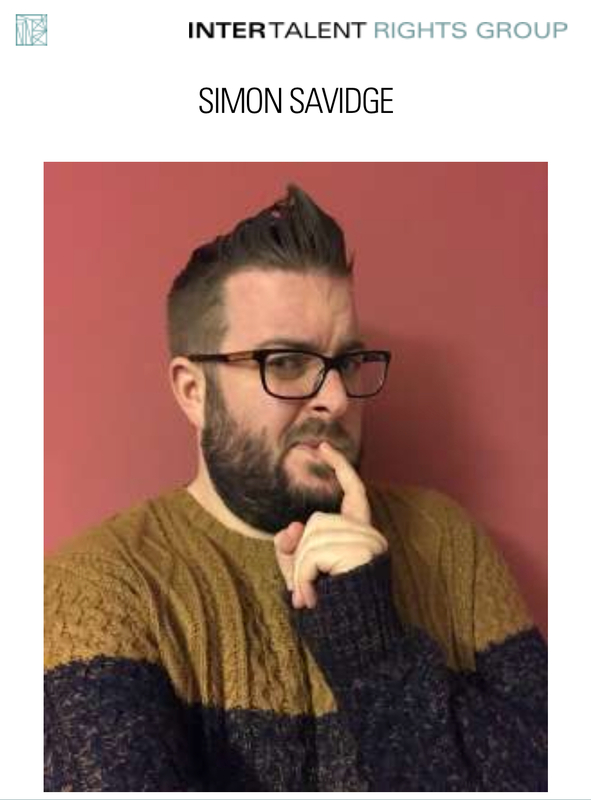 Well funny I should mention a new Simon because I do feel like rather a different and new Simon since I last blogged in earnest back in the early days of 2016. So I thought it would be a good idea to catch up properly on what has been going on in the last few years, despite my sporadic reappearances,ha. I am hoping that you will then update me on all of your goings on in the last few months/years in the comments below. So here goes. So one of the biggest changes that happened and was sort of one of the reasons that I went quiet, was that I got a new house. 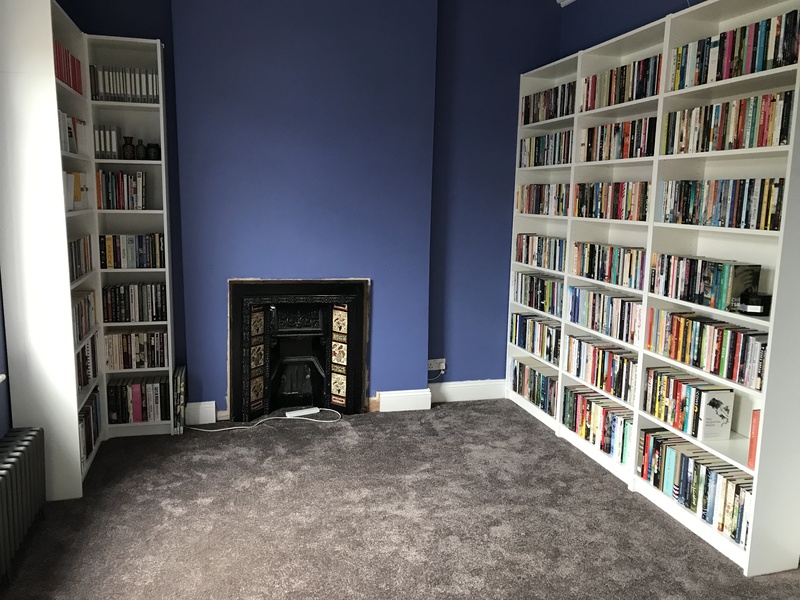 After several lovely years in a one bedroom flat it was time to upgrade, mainly to make more space for books, and find somewhere that could be a home that we could keep growing into. You might think I am joking about buying a home to house all the books but it is sort of true. I now have a sitting room brimming with the books I have read and kept as well as my own library which is looking lovely and I will share more of soon. Here is a little teaser at the halfway point. I found buying a house ridiculously stressful. As soon as we had found this one I just wanted to get it, get in and get cracking. It did not run smoothly and after almost six months of stress we were finally in. Then the joys of decorating and restoring it to its former glory began and it’s been all go since. We are currently in the midst of having the kitchen done which is probably the most chaotic work yet. Just the dining room to finish and one of the spare rooms to do after that and then we will probably want to start all over again. One of the bits of news that I did keep you updated on was the lovely news that Chris and I got married back in March. It was meant to be in September last year however some family things came up and so we moved it. Little did we know that there would be more drama with the second date with one of my lovely colleagues at Culture dying, my stepdad having a heart attack and needing a quadruple heart bypass – he is doing amazingly, the snow meaning a third of our guests couldn’t make it and the roof falling in on the concert room we were getting married in the day before the whole shebang was meant to happen meaning changing the venue. Blimey! We did it though and have decided that if the wedding was slightly hellish the marriage will be heavenly. Venice afterwards was wonderful and it’s been bliss since, we are even planning little Savidge’s. Chris is now a Savidge and part of the brand, ha. He is actually hosting his first book event in August. He’s reading and everything. Seriously. One of the equally exciting bits of news is that I got a new job at the end of last year which I started in the middle of March. 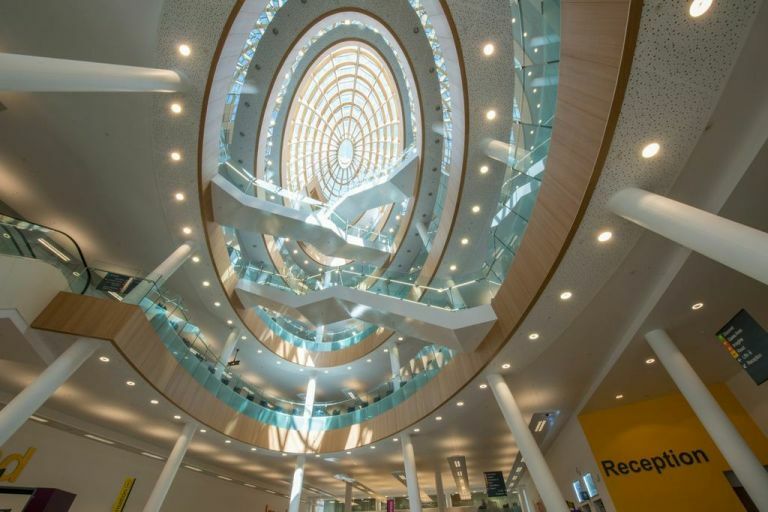 I am now leading on partnerships, sponsorships, events and retail for Liverpool Libraries (all 19 of them) and based in the gorgeous Central Library, which is like my idea of heaven. It felt very weird walking in on my first day having been at the reopening of the library back in 2013 and thinking ‘I wish that I could work in somewhere like that, that would be the dream’ and now five years later I am. It is a proper pinch yourself kind of job, though I was very sad to say goodbye to the work, events and people at Culture Liverpool which was also a dream kind of job. One of the things that I decided at the start of the year I wanted to do a lot more of was say yes to new opportunities and doing things I might not ordinarily do. So when I was at the Costa Book Awards Party (judging the Costa’s last year was amazing but I think stopped me blogging as much as I couldn’t really talk about what I was reading and was just reading, reading, reading) with my mother and a lovely man called Grant came up and asked me if he could possibly take me on at his agency, I thought ‘why not’ and last month I signed with Intertalent and have been enjoying some exciting meetings with all sorts of media bods about all sorts of radio, TV and journalism projects. We will see what happens. At the moment I am just enjoying meeting lots of people and having some lovely lunches, I am assuming nothing. You can find my profile here. Finally I have also taken up some new projects. Since taking a step back from The Green Carnation Prize, though we are talking about its future, I felt that I would like to do something else for the LGBTQ+ community. Something that was still cultural but maybe a bit different too. I am delighted to say that I have now joined the board of trustees for the amazing festival Homotopia, which is going to be amazing when it comes back this November. Seriously the line up and variety is astounding. So there is that too. I also have a potential idea I am brewing over at the moment but am also trying really hard to understand my limits, something I have not always been brilliant at. And so that brings me back to the new Savidge Reads, well it isn’t new, it is just a new chapter (see what I did there) and sort of new start to the blog. I have got the channel to where I want it and after having time to take stock of the Savidge situation was really missing it. But more of that and future plans tomorrow. Now then, what have you all been up to and how have you all been. ALL the details please, would be lovely to have a natter and a catch up in the comments below. Hopefully some of you will still be out there. When I was approached by the folk at Northern Rail to see if I would like to work with them* on a literary trail I was instantly intrigued. When I discovered it was to head to Hebden Bridge to learn about its literary links as part of the Northern and Manchester Literature Festival trail, also known as the Poetry Train, with a focus on the amazing places you can go by train finding the literary landmarks and hidden gems with some live poetry on the way how could I say no? I don’t think all the wonders of the north and its literary heritage, old and new, are celebrated or shown off enough. 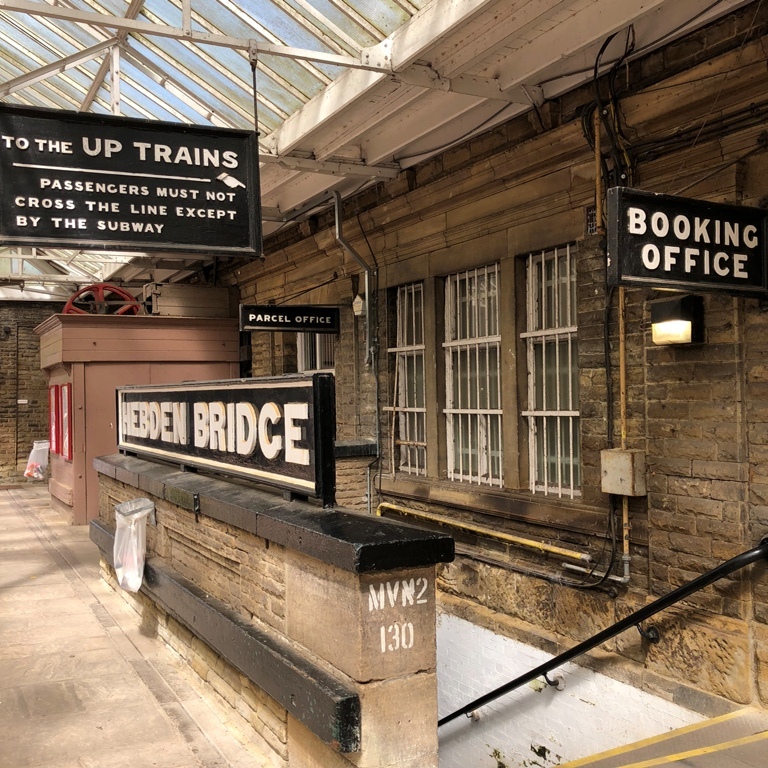 So off to Hebden Bridge (which has the most beautiful old station) I went with poet Helen Mort reading There & Back, a poem specially written to celebrate the line and the stations on it. You can read it here. I enjoyed the poem and Helen’s chat with Naomi Frosby of Writes of Women (who you will see more of later) so much I have since managed to find copies of both her collections Division Street and No Map Could Show Them from the library. Anyway, we were then taken through the town, which is beautiful, to find out more about its literary history past and present. …Another part of the walk too us to a place where it is believed that during one of the couples tumultuous points in their relationship things were smoothed over. I don’t know masses about the relationship between Ted Hughes and Sylvia Plath is, but it seems that the Stubbing Wharf pub was a place Hughes took Plath to encourage her to stay in the area. Though from what I gather of the poem, Stubbing Wharfe from Birthday Letters, it wasn’t such a glorious day when they had that discussion, either way Plath stayed. 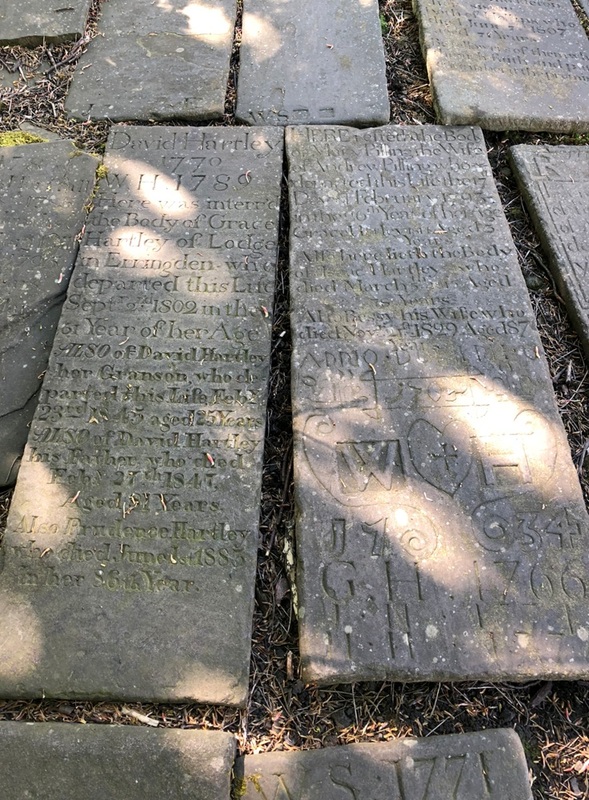 You might think from what I have said that the literary elements of Hebden Bridge, especially with the Bronte’s parsonage just up the road at Howarth, might all be very old school. Yet a lot of modern authors live in the area. You have Benjamin Myers (Beastings, Pig Iron, Turning Blue, The Gallows Pole and many more titles), his wife Adelle Stripe who has written a fictional account of the life of playwright Andrea Dunbar Black Teeth and a Brilliant Smile as well as Amy Liptrot whose memoir The Outrun was a huge success and shortlisted for the Wellcome Prize, a prize I adore. There is also an independent publisher, Bluemoose Books whose street we were taken into. I was going to post a picture but I don’t know if they will want you all popping in for a cuppa, sadly I didn’t have time to myself. After a lot of walking, including passing a pub Sally Wainwright of The Archers, Happy Valley, Last Tango in Halifax fame and more likes to frequent, we ended up in a book lovers dream, The Pages Cafe. 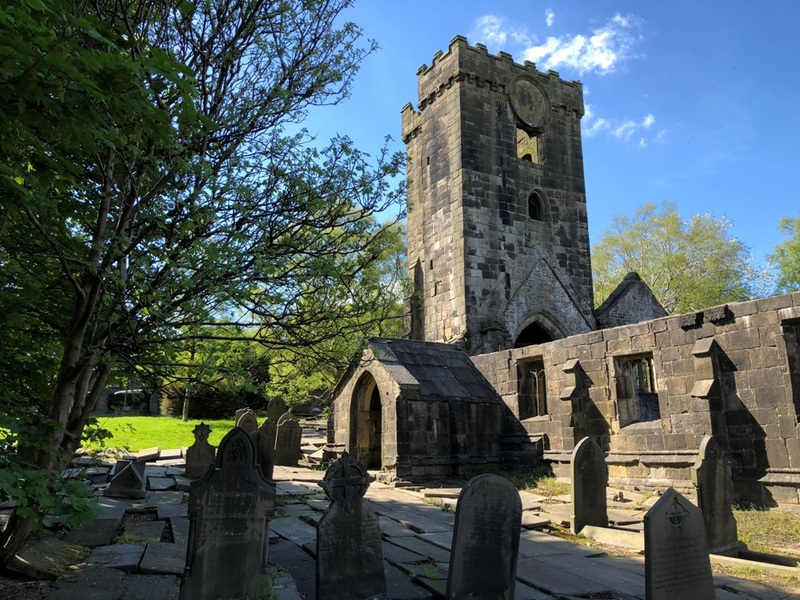 After this the lovely Naomi and I decided that we would go on an adventure to go looking for some literary graves, yes you read that right, we went off to find some graves up at Heptonstall churchyard. It has one of the steepest hill paths I have ever been up and am amazed that we made it with only one small break midway, but make it we did. The churchyard is incredible as it was bombed and so is a spooky shell of a church with a graveyard that ripples from the aftershock, it is a beautiful if slightly eerie spot. So who were the graves that we were looking for? Well the first one was a lesser known grave, that of King David Hartley. You wouldn’t be blamed for wondering who on earth that is. Remember I mentioned Benjamin Myers The Gallows Pole earlier? 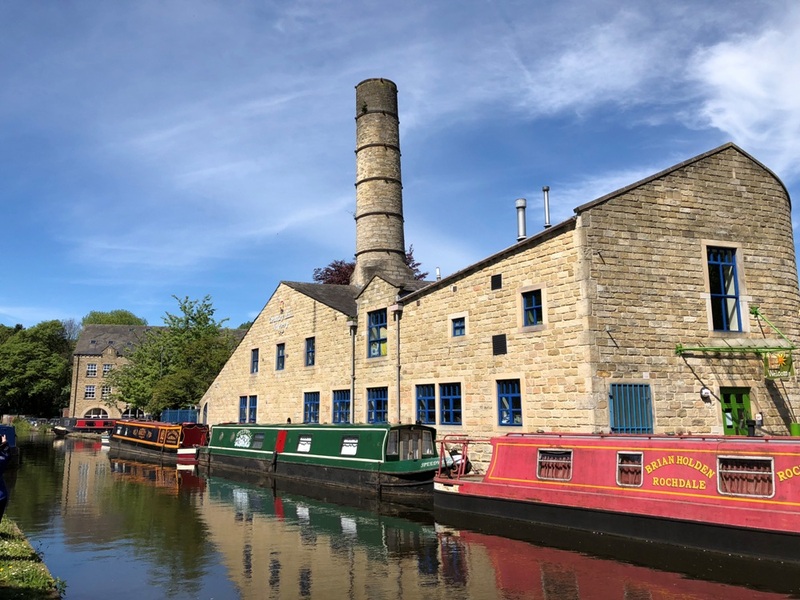 Well it centres around David Hartley and the Cragg Vale Coiners who he lead and who clipped coins to make more, a very criminal offence at the time. I cannot wait to read the book and also bought the map which you can buy in The Bookcase in the town and go off on a walk around too. I should here mention that I also bought Ben’s new nonfiction book Under The Rock and hopefully I will be doing a blog and vlog as we are planning a day doing a nature walk around the area of both these books and even a spot of swimming in the great outdoors which I am very excited, and slightly, nervous about this summer. And the other grave? 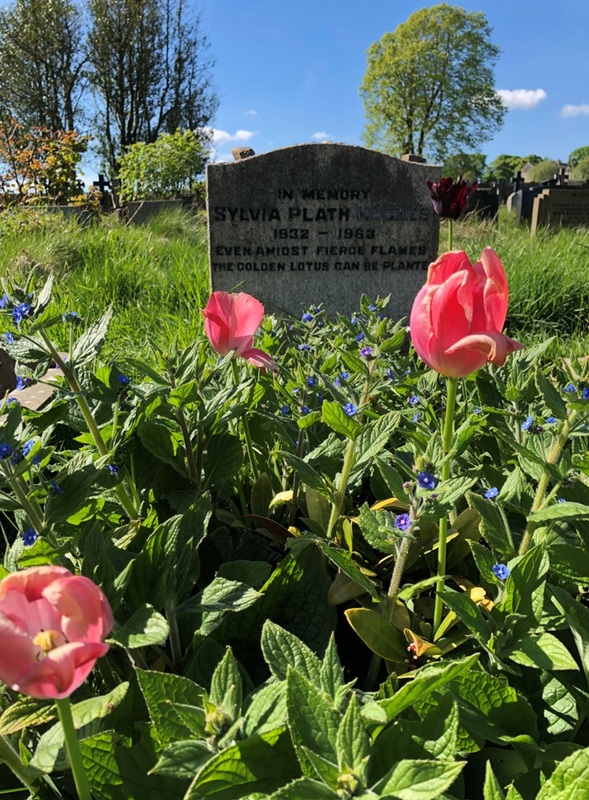 Well I couldn’t go all that way and not visit the grave of Sylvia Plath. I have to admit I have actually been to see her grave before years ago with Paul Magrs, it didn’t help me trying to find it a second time. At one point I did feel rather like Naomi and I had turned into trepid explorers, literary Indiana Joneses. Ha. But we did find it. Look how pleased we were with ourselves afterwards. We felt we both deserved a pint and so off we went for a beer and a shandy (mine, ha) at The White Lion which I would highly recommend. All to soon, after a right good natter, it was time to head home after a really lovely day and so we wandered back down the hill, which was like a dream and headed for the station and back to Manchester and off on our ways home. But what a brilliant day and one I would recommend you all try and do if you get the chance. You can find the map here. Big thanks to Northern Rail for asking me to do it. I will be heading back again for sure, it would make the perfect place for a little mini break and reading retreat. *This content was paid for, I will always let you know when content is. I get quite a lot of companies approach me to see if I would like to work with them; it is rare that I say yes. This is in part because the brand or opportunity might not be one that I think fits what you or I would be interested or they are so controlling that it involves no creativity for me. Working with Northern Rail was a delight and they let me do what suited Savidge Reads and hopefully all of you. Do give the literary trail a whirl as it was a lovely day out. 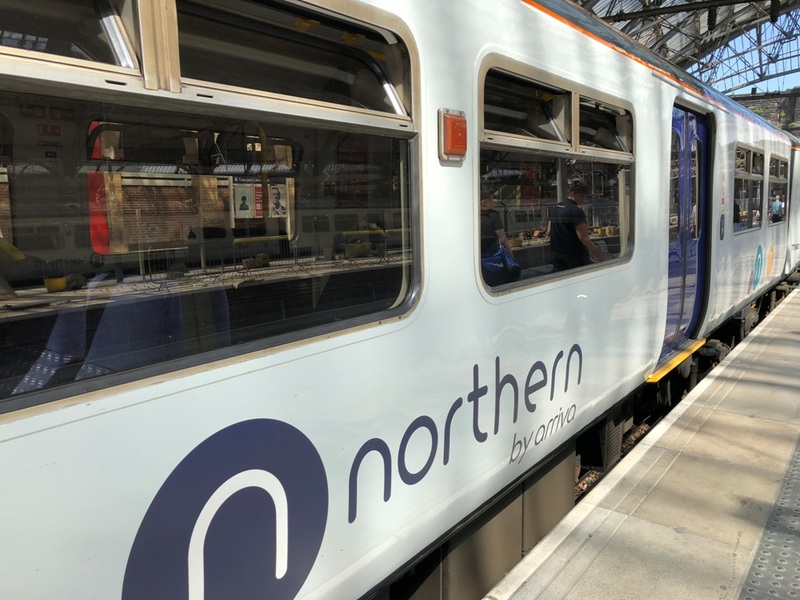 You can find out more on the Northern Rail website here. 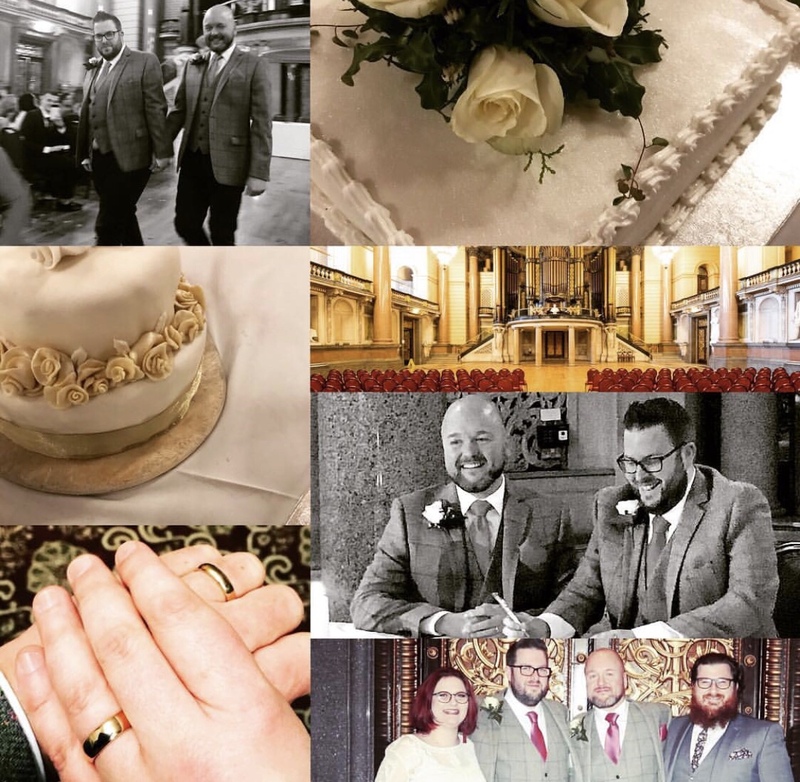 You may well have already seen this on social media, I wanted to share it on her too… The Beard, aka Chris, and I got married on Saturday. After a really crazy week or so (one of my colleagues was killed outside our office, my stepdad was rushed into hospital with a heart attack, the Beast from the East and Storm Emma stopped a third of our guests getting there… oh and part the ceiling of the venue we were meant to get married fell in meaning a new venue was needed the day before the wedding) it was so lovely to share such a wonderful day with so many wonderful people. So I wanted to share it with all of you who have lived it since the beginning. Plus a wedding is a really nice way (along with the Women’s Prize for Fiction 2018 all starting this week) to get the blog back up and running. How are you all? What have you been upto? I’ve missed you. Here’s to a wonderful year for us all. I hope you have some delights lined up? I currently have a week off, then the impending exciting things are the Costa category winners (tomorrow) before the party at the end of the month, some of my favourite bookish people coming in a few weeks (after having had two lovely booky chums staying for New Year) and then comes the two biggies… a new job and a new husband. More on both of those in due course. In the interim have you made any resolutions this year, reading or personal? I have not made a single one, nope, not a one. I am going into this year merely with good intentions, to be kinder to myself and others (hence no resolutions), to read by whim, to embrace new experiences and to just see where the year takes me. That is it. What about you? What Have You Been Reading & What Should I Be Reading? 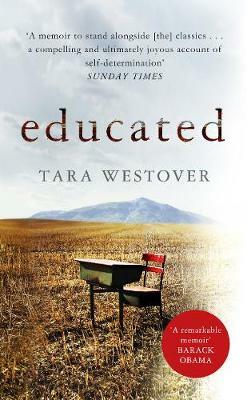 On Tuesday the 21st you will all get to finally hear what I have been reading over the summer. Well that isn’t technically true, you will all get to hear about a selection of the particular highlights of my summer reading as the Costa Book Awards 2017 shortlists are announced, including the First Novel selection which I have been judging along with the lovely Sophie Raworth and Sandy Mahal. We have had a wonderful summer of reading and the judging process has been hard (well, choosing the final four books was, the rest was lots of laughing, eating lovely food and having some great discussions about literature and life in general – lovely how books bring people together) because there was a plethora of wonderful books yet only four places allowed on the shortlist, we did ask for five but it was a no go. I can’t even think about how we will decide on a winner. Anyways, let us not think of that now. I have now finished all my events (workshops, author interviews, etc.) for the year which feels very strange and now makes 2018 – and that small thing of hosting Christmas at my house for my family for the first time ever beforehand – feel all the closer and so my brain is now free to start plotting what I want to do next year. At the moment it is just a mulling but really regular routine is top of the list with blogging, podcasting and just life in general, there is still lots to do on the house including finishing the library. There is also the biggest joy of being able to read just whatever on earth I fancy after a whole summer and most of autumn having a list of required reading. This is both thrilling and weirdly terrifying (I made a video about it here if you want to watch my full panic) as the options seem endless and suddenly I am rusty at just picking what I want to read, when I want to. There are just so, so, so, so, so many books that I could choose from, it is weirdly intimidating. So I thought you might help, as well as it be a rather lovely way to catch up and have a chat in the comments below, by sharing the books that you have loved and read so far this year that I might like to give a whirl before I share four books I hope you will on Tuesday. So let me know, what books have you loved this year/summer and why should I be rushing to read them myself? I look forward to all the tempting recommendations.